Peter Armbruster (born 1931), German physicist. Armbruster is most famous for his work at the Institute for Heavy Ion Research (Gesellschaft fur Schwerionenforschung) in Darmstadt, Germany. It was there in the 1980s and 1990s that he and his co-workers discovered the elements with the atomic numbers 107 (bohrium), 108 (hassium), 109 (meitnerium), 110 (darmstadtium), 111 (roentgenium), and 112 (copernicium). Armbruster's awards include the Max-Born Medal (1988) and the Stern-Gerlach Medal (1997). 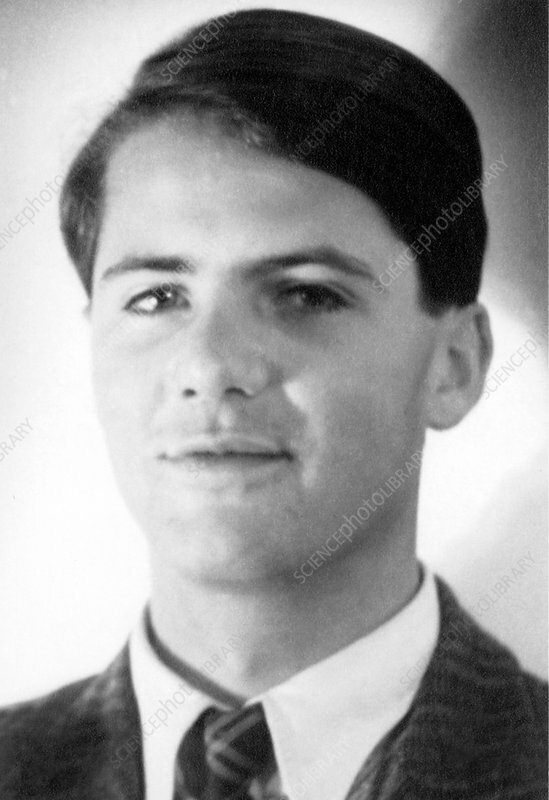 Photographed in 1951 at the time of his 'abitur' exams at the end of secondary education.